A vampire novel about a vampire girl in high school that falls in love with a human, it’s Twilight in reverse! With a bunch of extra stuff thrown in to make the perfect YA fantasy novel. Combine that with a director that obviously knew the material needed to get some campy elements thanks to airing on Lifetime, and some actors delivering some neat performances (and a few skeletonizing the scenery every second they are on screen! 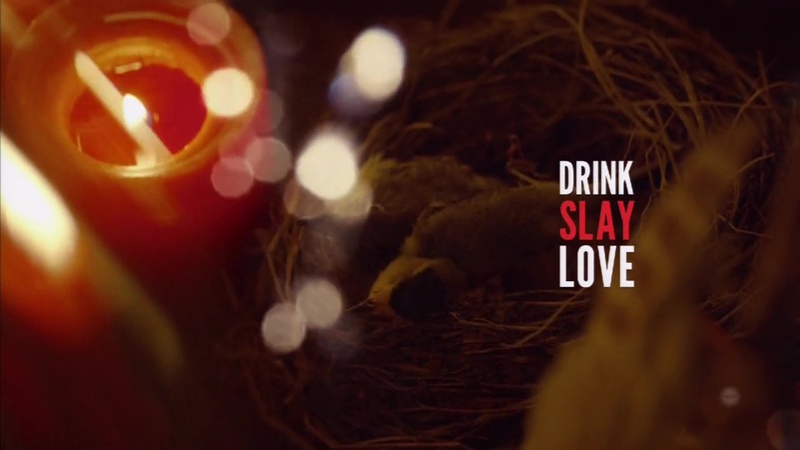 ), we get a surprisingly entertaining but incredibly cheesy flick with Drink Slay Love! Vampire teen Pearl (Cierra Ramirez) is confident, way confident, so confident that life is but a bore as she’s so confident she’s already done it all. The invincibility of youth mixed with the actual invincibility of vampires. That all gets shattered like the mirrors that she can only vaguely see her reflection in (it’s complicated!) when she discovers she can survive in the sunshine! Sure, this happened right after a mysterious attack where she almost died but woke up fully healed at home. Suddenly a whole new world is open to her, but only her, the rest of her clan is still killable by the sun. This coincides with the King of the Vampires deciding the family will host the 100 year huge party where everyone feeds the King their blood and then drinks his blood, which means everyone serves the King. Which isn’t all sorts of screwed up at all. To feed all the vampires coming for the party, Pearl is sent to school to recruit a whole host of victims, as vampires must be invited into houses and high school means she’ll be invited to slumber parties. Or would be if she wasn’t a goth girl. We all know she’s going to soon fall in love and the script gets flipped.